cloudLibrary makes it easy to discover the content you want to read. Whether on the web, a tablet, your mobile device, or your library's discovery terminal you can browse digital shelves curated by your library or filtering by genres that interest you. 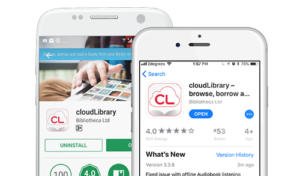 cloudLibrary by bibliotheca keeps all your books in sync, meaning wherever you choose to read your books you’ll always have your content with you. One-click category selection allows you to customize which genres you wish to see on your shelves. Advanced filtering allows you to sort by publication date, author, title, recent additions, or rating. Saving titles for future browsing is as easy as adding to your favorites. 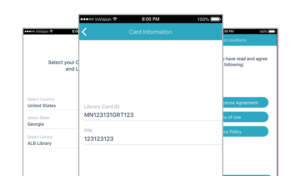 All you need is a library card to gain access, no separate account required. Easy one-click borrowing and availability on smartphones, e-readers, and computers will keep you coming back for more. 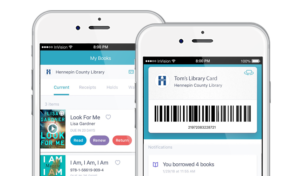 select your state, library, and enter your library ID and PIN (if required). Click agree to terms and log in. browse, borrow and read eBooks from your local library. * Not supported by all versions. cloudLibrary is currently not compatible with Kindle Paperwhites or the Kindle Apps. If you would like to read eBooks on your Kindle please email kindle-feedback@amazon.com and request that Amazon allow compatibility with cloudLibrary.